51 years, 0 month, 26 days old age. Prithvi will turn 52 on 24 March, 2020. Only 11 months, 4 days, 3 hours, 55 minutes has left for his next birthday. Prithvi has celebrated the total number of 51 birthdays till date. See the analysis by days count and bar graph. Prithvi was born on 24-03-1968 in New Delhi, India. He is an Indian Film Actor who known for his role in Hindi, Tamil and Telugu films. He started his career in the year 1992 as he was debuted in the Bollywood film, Dil Ka Kya Kasoor. He was starred as Arun Kumar opposite with the late Divya Bharti who played as Seema. 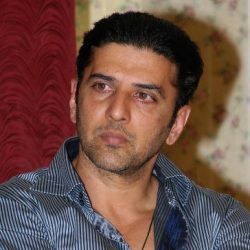 His performance as an orphan who attended college in India and excels in his studies was received an average rating and he was remembered for the film and the songs including Milne Ki Tum Koshish Karna, Dil Ka Kya Kasoor and Dil Jigar Nazar. The film also received the Best Film & Best Music awards at the Filmfare. In 1994, he has done the film, Ikke Pe Ikkaw and essayed the role of Rishi with Akshay Kumar. Later, he donned another film with Akshay entitled, Paandav under the same director, Raj N. Sippy. He essayed the role of a doctor in the Hindi thriller film, Daraar which also stars, Rishi Kapoor and Arbaaz Khan. After this, Prithvi started to do supporting roles which portray small roles in the films including the 1997 film, Kamsin: The Untouched. He is also part of Aamir Khan’s starrer film, Ghulam in 1998; later, he did the film Dada and played a fatherly role in P. Vasu’s box-office hit film, Hogi Pyaar Ki Jeet. He played the lead role in his last Hindi film titled Khanjar: The Knife in 2003. In addition to Hindi, he has worked in Tamil and Telugu films as well. He has done over 20 films in Telugu film industry and is a name to reckon with in the Telugu film industry.